As the first fall snow fell today, I was thankful that we finished our corn and soybean harvest last Monday and 95% of our field work at the beginning of the week before we got rain for three days and snow today. What we didn't get done, will and can wait til Spring and I think we are all okay with that. This fall's harvest went pretty well. We had average to above average yields for both corn and soybeans, and we were able to work almost daily to get the job done since it was so dry this fall. 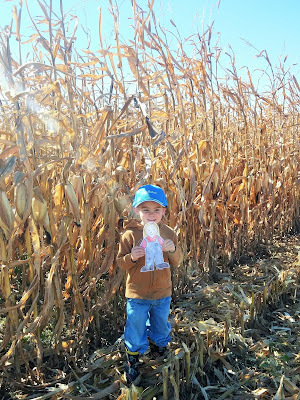 A fun thing that the kids and I did this fall was host Flat Aggie during harvest. Flat Aggie is similar to the Flat Stanley project (which I personally loved doing Flat Stanley as a first grader 25 years ago...) based on the book Flat Stanley by Jeff Brown. Students send a flat cutout to friends and family to then go on adventures and return after a certain period of time with a story of their travels. 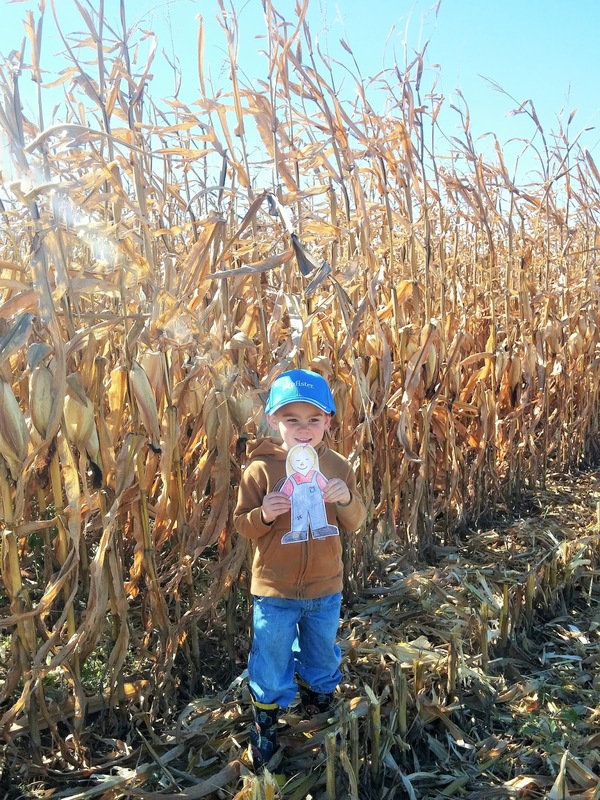 Flat Aggie travels to farms and ranches and this year is being shared with classrooms in Illinois, Kansas, California and Arkansas. A new addition to this year's harvest for us was that we started bagging corn. The current market price for corn and soybeans is low, so we wanted to store as much of our grain as possible in order to get a better price for it at a later date. All of our soybeans and most of our corn is being stored in grain bins that we both own and rent. But as we ran out of bin space we started bagging the corn. Think of it as "on farm storage." These 250' long bags are made of a thick plastic. From the catch cart, we filled the grain bagger, which inches along as the bag gets filled. We will have to unload these bags before spring, so we can plant in those areas. But at least for this winter, the bags have given us some much needed storage space. And speaking of new additions, we are excited to announce that our family will be growing in May! 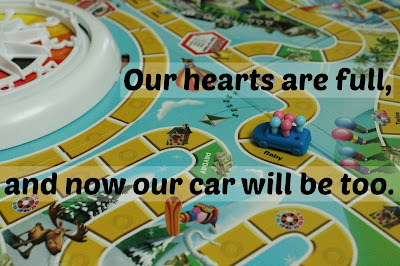 We are expecting Baby #4 on May 20th and are very happy and full of love. The kids are excited and have given the baby the nickname of "Tinker". Our son LP came up with the name and we asked him where he got the name from and he responded nonchalantly, "My brain." Oh, of course. But anyways, the name has stuck, and we are all very excited to welcome Baby Tinker this spring. Do you have any questions about Fall Harvest or our new "Spring Arrival"? Remember to Comment for a Cause! Congrats on yourgreat news! And thanks for telling us about the bags. I always wondered what was in them, we don't crop any acres so I didn't know much about them. Good to have had a safe productive harveat. Have a great Thanksgiving! If you see bags near a cattle or dairy operation, those are most likely filled with silage. But if you find bags sitting in fields, those are most likely corn. Hope you have a great Thanksgiving too! Very happy for you and your news:) Also, I learned a lot. Had no idea you could bag corn. It is a new thing we're doing but we know other that have been bagging corn for the last few years. Hopefully it all works well! Congratulations! That is so exciting. I am glad the harvest went well! I am so excited for you guys and the new addition! Congrats! Congratulations on your great news! !